On Thursday, 29th of November, 2018, the Rotary Club Of Gbagada, Rotary Club Of Ikorodu golden in conjunction with the Federal Roads Safety Corps ( FRSC) conducted a free eye test for drivers in Ikorodu division. 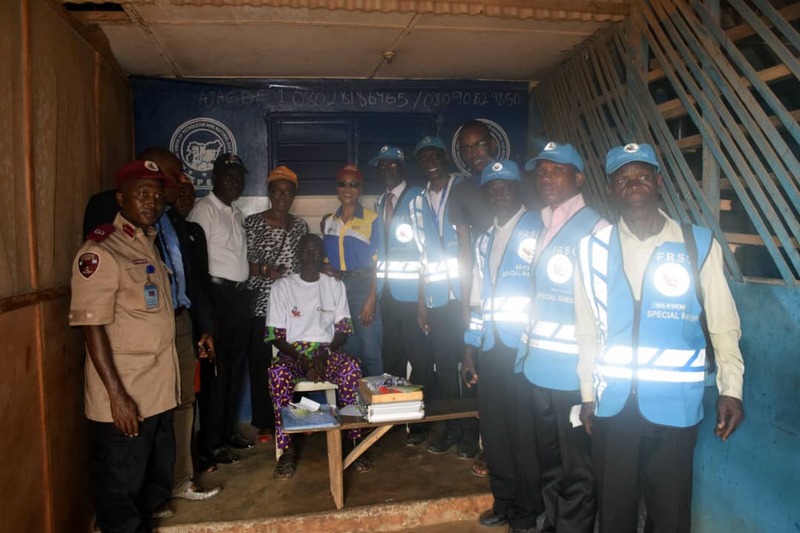 This took place during the annual Ember Months Road Safety Campaign by the FRSC themed ‘Safe Driving, Safe Arrival’ at the Madojutimi Park, Sabo, Ikorodu Lagos. 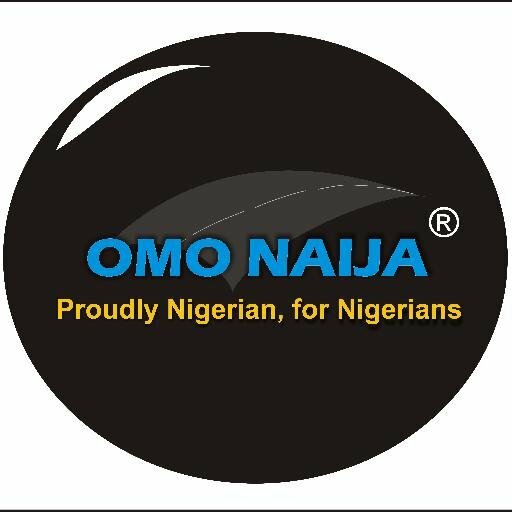 The event had lot of dignitaries present ranging from royalties, security operatives, LASTMA Executives, to top Motorists executives in attendance. some CEOs of tyre production companies where also in attendance. The focus of this event is to educate drivers on the need for safe driving at this period as we approach the year end and the yuletide season which is usually characterised with heavy road usage. it is essential for drivers to ensure their vehicles is in very good condition at all times. Poor eye sight is said to be one of the major factors causing road accidents, therefore, driving a faultless vechile does not guarantee safety , the need for a driver to have a very good vision cannot be over emphasized , bearing in mind the fact that any mistake from him can put the lives of passengers and other road users in danger. This is the reason behind the involvement of the Rotary Club of Gbagada and the Rotary club of Ikorodu Golden to conduct a free eye test for the drivers. According to the President of the Rotary Club of Gbagada, Rotarian Dr. Basirat Giwa, Rotary club of Gbagada has conducted several free eye test in the past but it has suffered low turn-out of participant but this year is different, the collaboration with Federal Road Safety Corps, facilited the massive turn out experienced,she further added that she is very elated to be part of this drive encouraging every one to take good care of their eye. 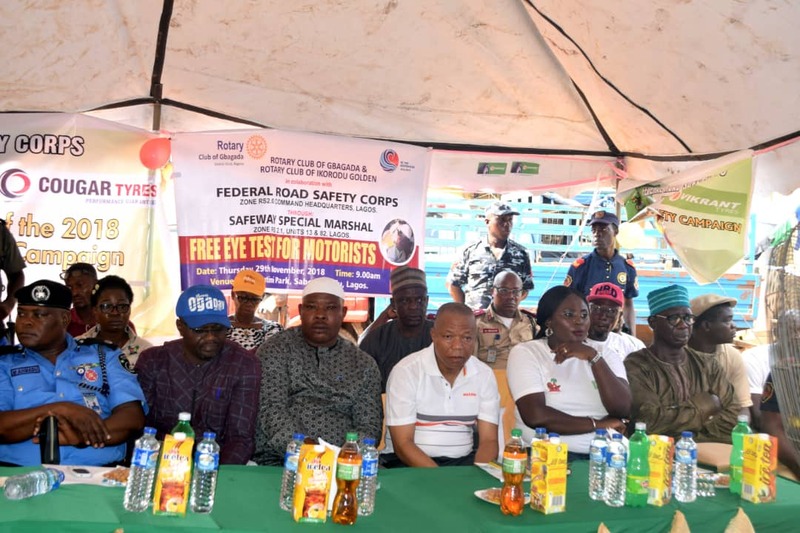 Similarly, the President of the rotary club of Ikorodu Golden, Rotarian Tawa Ayeni revealed that the free eye test for commercial drivers is an avenue to render service to the public as this is one of the major tenets of Rotary Club ,She also mentioned that drivers with eye defect where given futher medical treatments and also emphasized on the fact that the collaboration with the FRSC was for the sake of participants. Furthermore, the beneficiaries appreciated Rotary club and encourage them to continue with amiable service because lives are being saved through this.